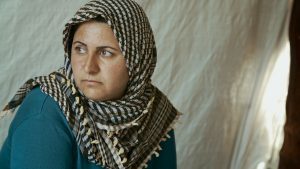 The documentary What the Wind Took Away, produced by Helin Celik and Martin Klingenböck, thematises the fate of the religious minority of the Yazidi who especially in their area of settlement of northern Iraq have become stigmatized as “infidels” and therefore victims of persecution and massacres by the so-called Islamic State which leaves them no choice but to flee. This Austrian production gives an insight into the lives of two families expelled from their homes, ending up in one of the emergency shelters in the neighbouring country of Turkey. 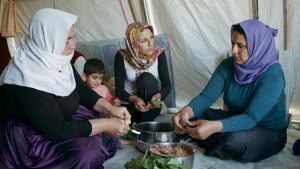 The two young women talk about the richness of their previous lives, their dangerous flight over the mountains, and the grinding everyday life of a refugee, but between the lines they also indicate their own position as women in a devoutly religious community. Martin Klingenböck Completed university studies covering the areas of Multimedia and Digital Television in Vienna, Salzburg, and Prague. After several years of working full-time as a cinematographer in Munich, Germany, in 2012 he founded his own production company, Klingenböck Filmproduktion, and has since then worked as a free-lance photographer and filmmaker focussing on documentaries. 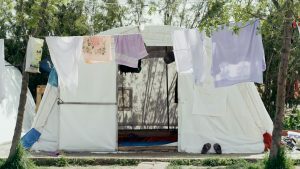 Martin Klingenböck has built a considerable portfolio of national as well as international short and image films; What the Wind Took Away is his second long film on the topic of refugees after Last Shelter (2015).